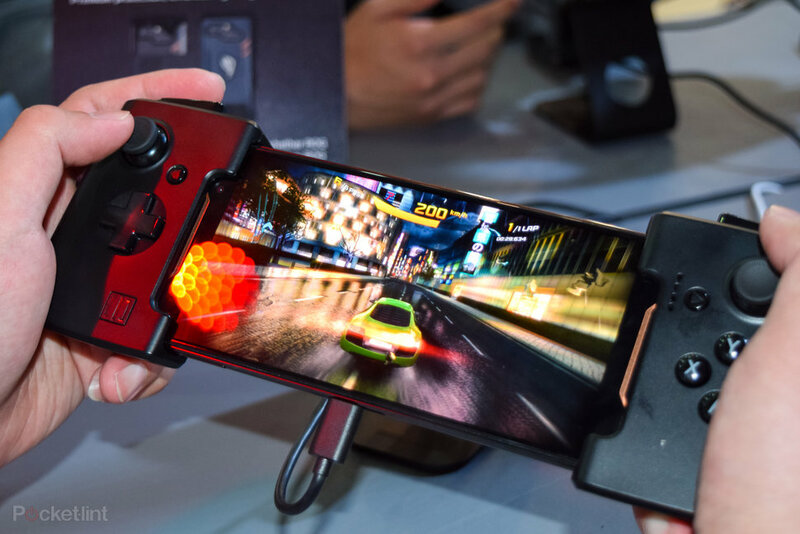 Gaming smartphones became a thing in late 2017 when Razer launched its gaming phone. It had a high refresh-rate phone display, a big battery, and awesome speakers. It entered a niche market, which was being neglected for a long time now. 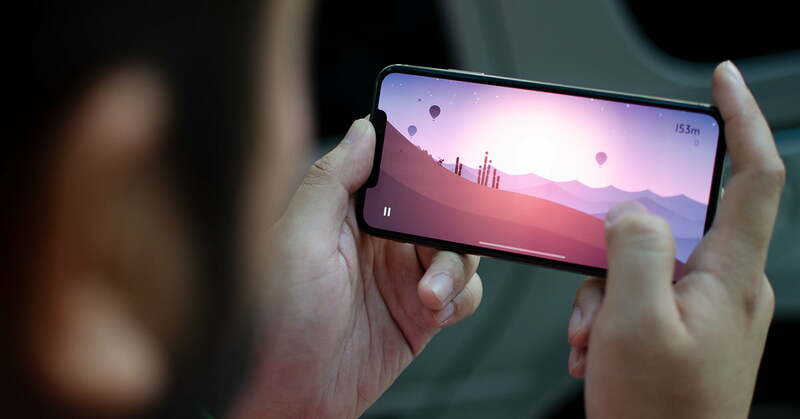 The best gaming smartphones won’t let you just play the best games on the App Store but also deliver the best visuals and performance for years to come. These devices need to have the latest chip-sets and loads of RAM with a top of the line GPU. The Razer phone runs on a Snapdragon 835 chipset, which is superseded by the 845 but still offers commendable performance. It has a 120 Hz display, which offers super smooth graphics and is great for gaming. The 5.7-inch QHD LCD display is great for playing games and the addition of the 4000mAh battery is just awesome. The phone also offers the option of expandable storage, which is the icing on the cake. It is, however, a bulky device with a one-year-old processor. The screen and the 120Hz display are great for gaming. The speakers are some of the best in the business. Therefore, it is an easy recommend as a gaming device. The ROG phone comes with a Snapdragon 845 clocked at 2.95 GHz, Adreno 630 GPU, 8 GB Ram, 128 GB or 512 GB of onboard storage and a 4000mAh battery. The phone also sports a 90Hz AMOLED display (the RAZER phone has a 120Hz LCD display), having much better quality than the RAZER phone. AMOLED displays traditionally have much better color and contrast than LCD displays. The back of the device looks quite aggressive. The phone has a ROG logo at the center surrounded with sharp edges and exhaust window. It has a USB Type-C port at the bottom and a headphone jack. It has two more Type-C ports on the left side. Various attachments can be attached to these ports like the heatsink, a gamepad, or a TwinView Dock. 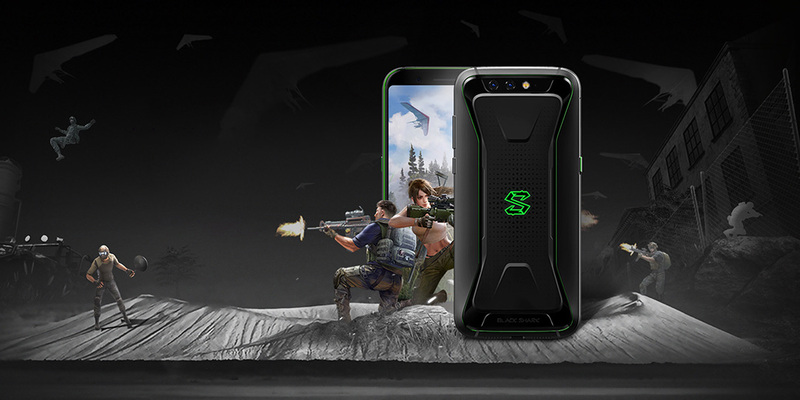 The Black Shark has a Snapdragon 845 chipset, up to 8GB of RAM, a 1080p 21:9 display, and a 4,000mAh battery. The styling of this phone is very striking. The black-and-green styling with the chamfered edges makes it an unmistakable eye catcher. The black shark earns its gamer credentials by incorporating an attachable analog stick controller that snaps onto one side of the device. It also has true “liquid cooling”, which is a heat sink solution that prevents the device from overheating during long gaming sessions. The Black Shark claims a temperature reduction of 8 degree Celsius. This smartphone is an understated gaming machine. It not only has one of the biggest and arguably the best and brightest displays on the market, but it also has the specs to match the display as well. It runs on the Snapdragon 845 chipset and has an onboard memory up to 512 GB. Add to it the expandable memory upto 512 GB and you have a 1 TB storage capable device in your hands. It also has a “Water Carbon Cooling System” ” to ensure a smooth, consistent performance during long gaming sessions like Fortnite. The phone also has a 4000mAh battery making it last a full day. The recently launched iPhone has top-of-the-line specs for all your gaming needs. However, you sure need to have the budget for this phone. It can cost upto ₹144900 for the 512 GB version. The phone sports a bigger 6.5-inch screen in the chassis of an iPhone 8 Plus. The improved A12 bionic chipset is a 7 nm chip, which is a big leap in SOC technology. It also has an extra core for the GPU making it more powerful than any iPhone previously launched. The battery is claimed to last one and a half hours longer than the iPhone X. The display is a high-resolution OLED display with 458 ppi which makes playing games on the iPhone a treat. Next ArticleWhat Is Urban Naxalism And Why Is It Gaining Ground? 6 Smartphones Which Will Buzz The Indian Market In The Coming Months!